Where to find all 14 Battlegates in Kingdom Hearts 3. After finishing the Kingdom Hearts 3 story campaign, gamers have the opportunity to take on 14 unique Battlegate challenges. Each of these 14 Battlegates are situated in a different location within the Kingdom Hearts 3 universe, and offer different rewards upon completion. Among these rewards are new pieces of story content called Secret Reports, along with special items and selfie poses for Sora. While the first few Battlegates can be easy to find, tracking all of them down in order can be a bit time consuming. Additionally, Battlegates have varying levels of difficulty ranging from 1 to 3 stars. While the 1-star Battlegates are easy, the 2 and 3-star Battlegates present a real challenge. Struggling to find one or more Battlegates in Kingdom Hearts 3? We’ve got you covered! Below, we’ve put together a complete guide featuring all Battlegate locations in Kingdom Hearts 3. Below, we'll walk you through where you can find all fourteen Battlegates in Kingdom Hearts 3. Your first introduction with Battlegates in Kingdom Hearts 3 comes prior to the end of the story campaign as you navigate through the Skein of Severance. Note that these introductory Battlegates are different from the ones we list below in that they don’t reward Secret Reports, and they aren’t hidden in previous Kingdom Hearts 3 worlds. To unlock Secret Reports, you’ll need to return to Kingdom Hearts 3 after completing the story and take on the Battlegates in locations like Olympus and San Fransokyo. With that out of the way, we’ve listed where to find all 14 Battlegates in Kingdom Hearts 3 down below! The first Battlegate in Kingdom Hearts 3 is located in the Summit area of Olympus. The first Battlegate in Kingdom Hearts 3 can be found by returning to the world of Olympus. To find the first Battlegate, you’ll want to spawn in at the Summit save point. From the Summit save point, go straight up the large flight of stairs. Inside the next room, you’ll find a spiked blue ball floating in the air. Interact with this and confirm to begin your first Battlegate fight. This Battlegate is ranked at a 1-star difficulty. Upon successful completion of the first Battlegate fight, you’ll earn Secret Report #1 and a Fire Cufflink. 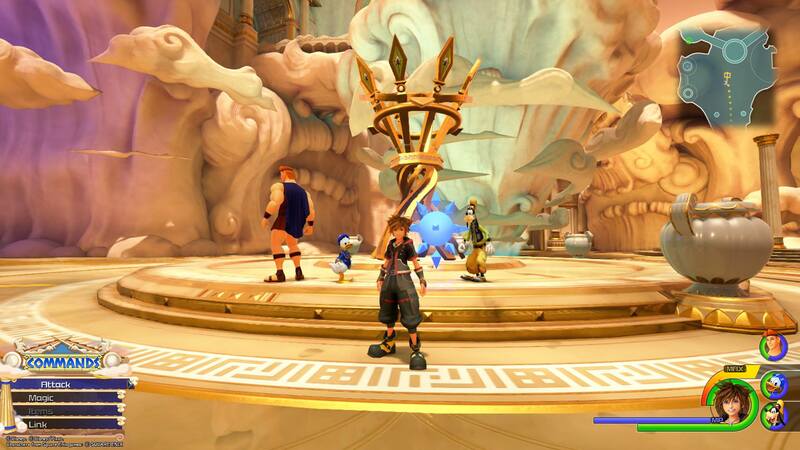 The second Battlegate in Kingdom Hearts 3 is located in the Apex area of Olympus. 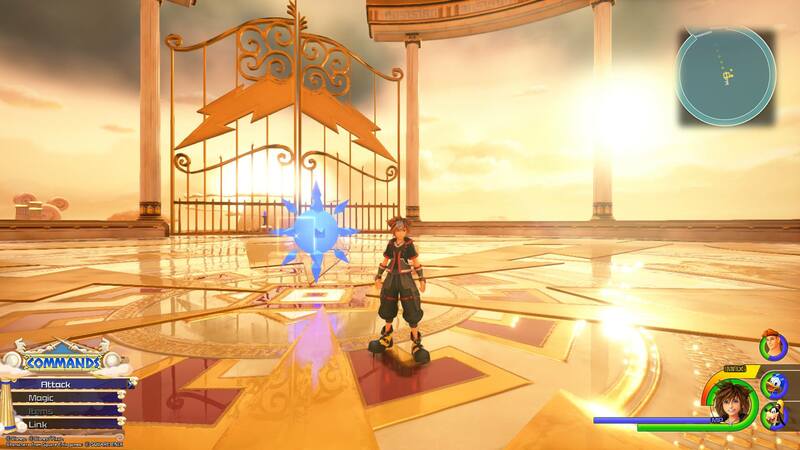 The second Battlegate in Kingdom Hearts 3 can be found by returning to the save point you used to spawn in at the Summit, then by selecting the “Apex” area of Olympus. To find the second Battlegate, make your way past Zeus, and through the gates. Inside the large, circular area, you’ll spot the second Battlegate. Interact with the second Battlegate, then confirm to begin your next fight. This Battlegate is ranked at a 2-star difficulty. Upon successful completion of the second Battlegate, you’ll earn a Cosmic Belt + as well as Secret Report #2. The third Battlegate in Kingdom Hearts 3 is located in the Old Mansion area of Twilight Town. 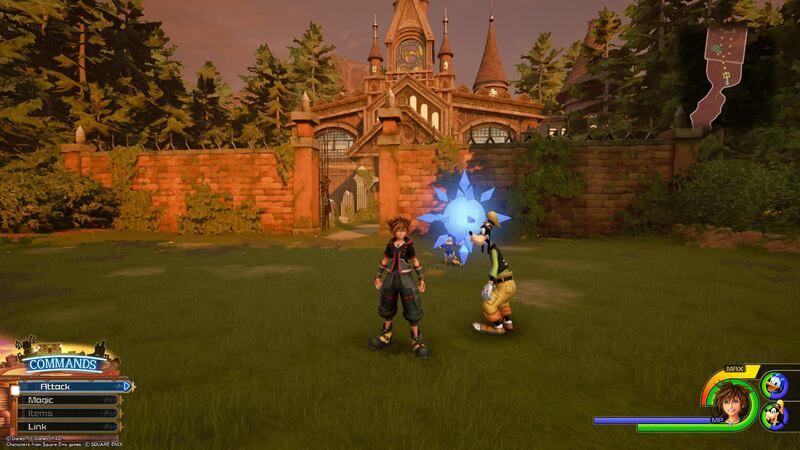 The third Battlegate in Kingdom Hearts 3 can be found by spawning into the Twilight Town world at the Old Mansion save point. To find the third Battlegate, exit the Old Mansion towards the forest and look immediately to your left. There, you’ll find the third Battlegate. Interact with the third Battlegate, then confirm to begin your next fight. This Battlegate is ranked at a 1-star difficulty. Upon successful completion of the third Battlegate, you’ll earn Secret Report #3 as well as an Evanescent Crystal. 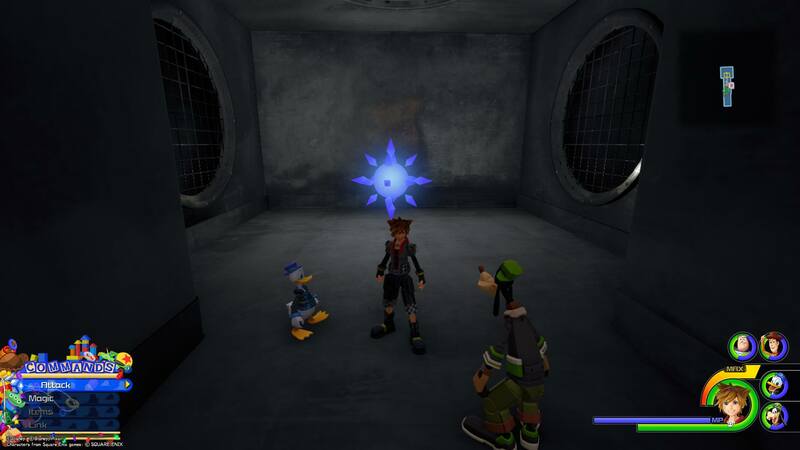 The fourth Battlegate in Kingdom Hearts 3 is located in the Kid Korral area of Toy Box. 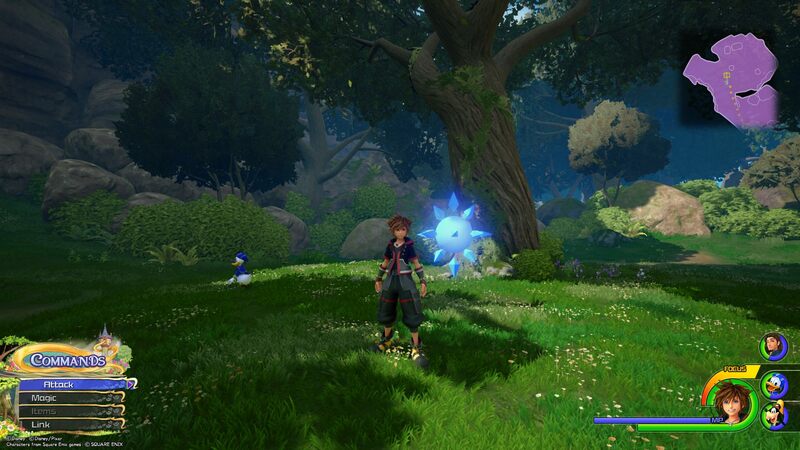 The fourth Battlegate in Kingdom Hearts 3 can be found by spawning into the Toy Box world at the Kid Korral save point. To find the fourth Battlegate, head straight into the vent from the save point and you’ll spot the fourth Battlegate. Interact with the fourth Battlegate, then confirm to begin your next fight. This Battlegate is ranked at a 1-star difficulty. Upon successful completion of the fourth Battlegate, you’ll earn a Megaelixir and Secret Report #4. 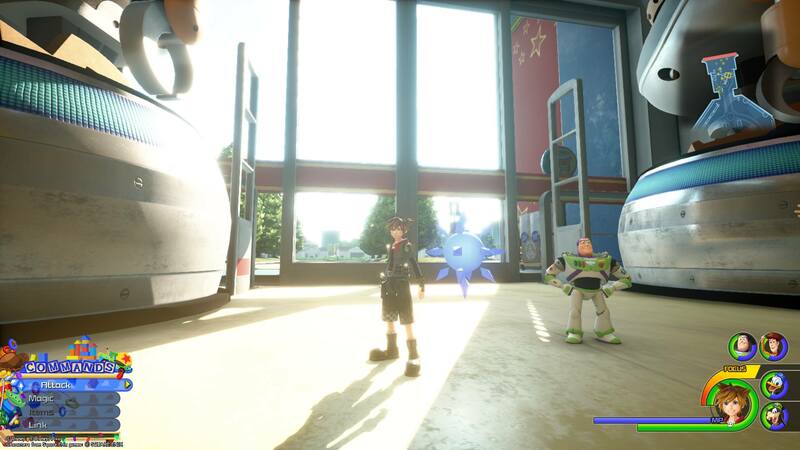 The fifth Battlegate in Kingdom Hearts 3 is located in the Galaxy Toys entrance area of Toy Box. 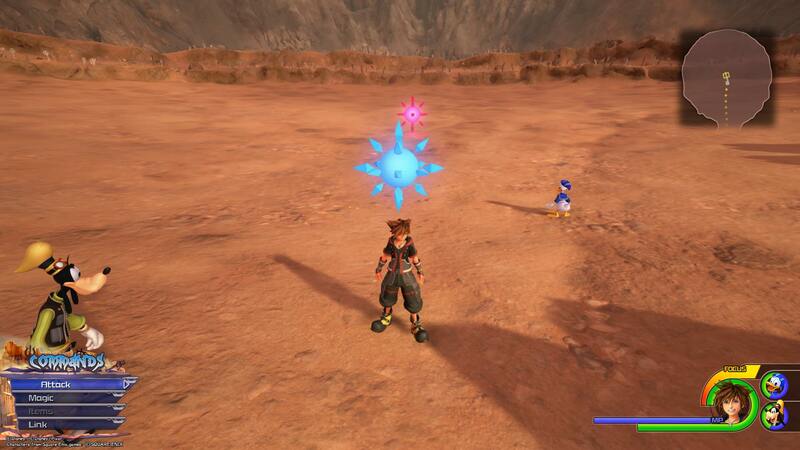 The fifth Battlegate in Kingdom Hearts 3 can be found by returning to the save point and selecting the Galaxy Toys entrance spawn. When you arrive at the front of Galaxy Toys, turn around and look towards the windows on your right. Where the light is filtering in, you should see the fifth Battlegate. Interact with the fifth Battlegate, then confirm to begin your next fight. This Battlegate is ranked at a 2-star difficulty. Upon successful completion of the fifth Battlegate, you’ll earn Secret Report #5 and a Thunder Cufflink. 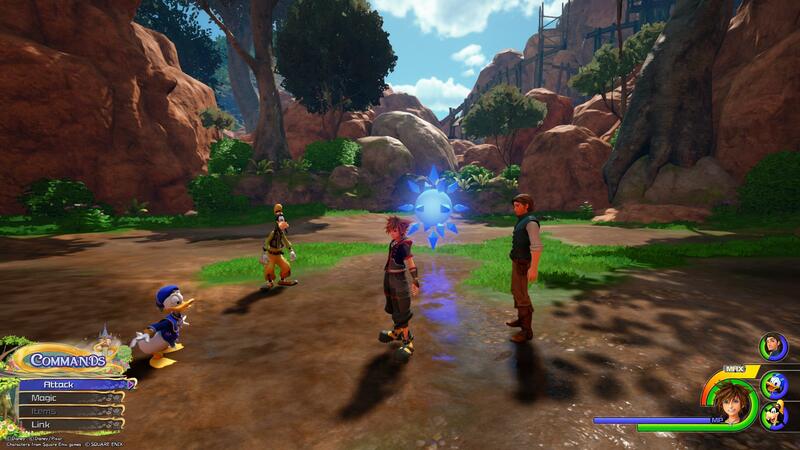 The sixth Battlegate in Kingdom Hearts 3 is located in the Wildflower Clearing area of Kingdom of Corona. 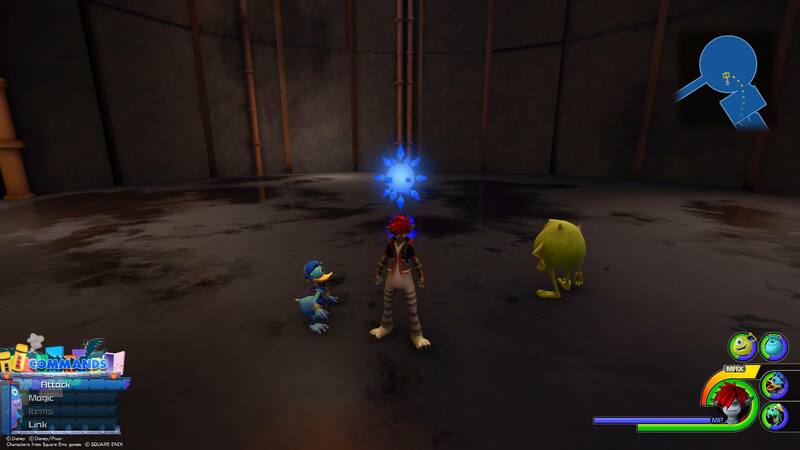 The sixth Battlegate in Kingdom Hearts 3 can be found by spawning into the Kingdom of Corona world at the Wildflower Clearing save point. Once there, turn until you see a cliff, then head right until you drop down into a circular clearing. There, you’ll find the sixth Battlegate. Interact with the sixth Battlegate, then confirm to begin your next fight. This Battlegate is ranked at a 2-star difficulty. Upon successful completion of the sixth Battlegate, you’ll earn an Illusory Crystal as well as Secret Report #6. 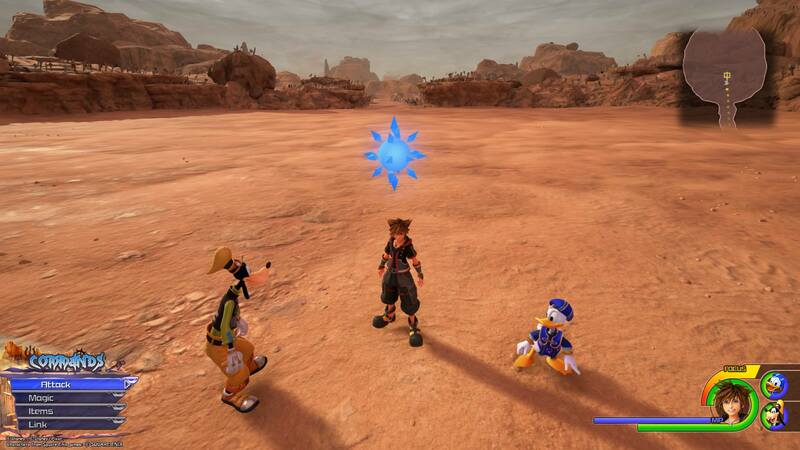 The seventh Battlegate in Kingdom Hearts 3 can be found outside the Tower area of Kingdom of Corona. With the sixth Battlegate complete, you can either return to the save point or head back through the Forest until you reach the entrance to the Tower. From the Tower save point, exit through the tunnel, then make a right. Slightly past the Flantastic Seven, you’ll find the seventh Battlegate. Interact with the seventh Battlegate, then confirm to begin your next fight. This Battlegate is ranked at a 1-star difficulty. Upon successful completion of the seventh Battlegate, you’ll earn Secret Report #7 and an Aero Crystal. The eighth Battlegate in Kingdom Hearts 3 can be found outside the Service Area save point in Monstropolis. The eighth Battlegate in Kingdom Hearts 3 can be reached one of two ways. The easiest is by spawning in the Monstropolis world at the Service Area save point. From there, head out of the factory towards the empty silo. Alternatively, you can spawn in at the Tank Yard and head forward until you reach the silo, as both paths lead to the eighth Battlegate. Interact with the eighth Battlegate, then confirm to begin your next fight. This Battlegate is ranked at a 1-star difficulty. Upon successful completion of the eighth Battlegate, you’ll earn an Illusory Crystal as well as Secret Report #8. The ninth Battlegate in Kingdom Hearts 3 can be found in the Labyrinth area of Arendelle. 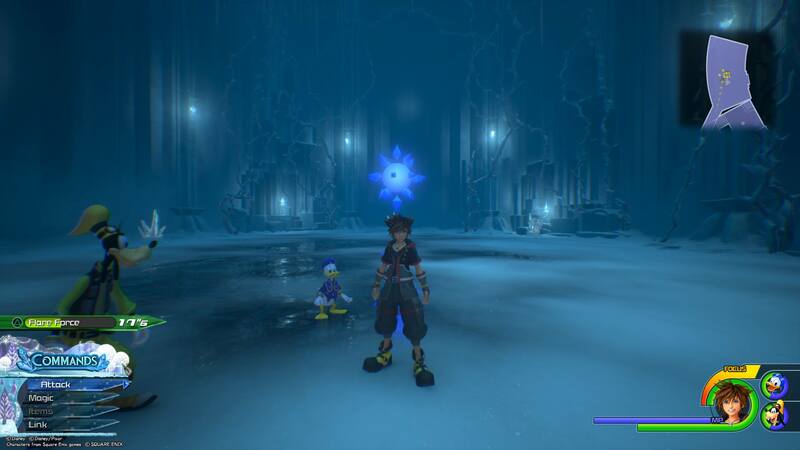 To find the ninth Battlegate in Kingdom Hearts 3, you’ll need to spawn into the Arendelle world at the Gorge save point. From the Gorge, enter the portal that leads into the Labyrinth, then interact with the ice pillar directly behind you to descend into the middle tier. Travel up the steps and through the breakable ice barriers until you reach an open room with the Battlegate inside. Interact with the ninth Battlegate, then confirm to begin your next fight. This Battlegate is ranked at a 2-star difficulty. Upon successful completion of the ninth Battlegate, you’ll earn a Secret Report #9 along with an Evanescent Crystal. The tenth Battlegate in Kingdom Hearts 3 can be found near the Huddled Isles area of the Caribbean. 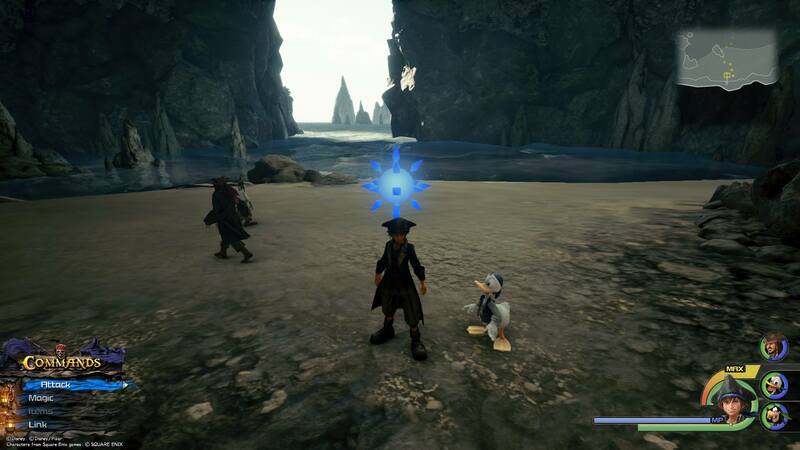 The tenth Battlegate in Kingdom Hearts 3 can be found by spawning into the Caribbean world at the Huddled Isles save point. Turn around from the save point until you face the sea. There, you’ll see your ship. You can reach the save point by boarding your ship and sailing right, or by using your fly ability to skim over the water. Regardless of which method you choose, you’ll want to go right while hugging the island until you locate a cave with a tall, vertical opening. If you’re on your ship, you’ll need to jump into the water and swim inside. There, you’ll find a little sandy beach as well as the tenth Battlegate. Interact with the tenth Battlegate, then confirm to begin your next fight. This Battlegate is ranked at a 1-star difficulty. Upon successful completion of the tenth Battlegate, you’ll earn a Water Cufflink as well as Secret Report #10. The eleventh Battlegate in Kingdom Hearts 3 can be found in the North District area of San Fransokyo. To find the eleventh Battlegate in Kingdom Hearts 3, you’ll need to spawn into the San Fransokyo world at the North District (Day) save point. From the North District, scale a nearby building until you’re able to leap down onto the train rails that run through this area. Jump on the rails heading to the west, and you’ll be able to quickly slide over to the world’s border which naturally stops you. Here, you’ll find the eleventh Battlegate. Interact with the eleventh Battlegate, then confirm to begin your next fight. This Battlegate is ranked at a 2-star difficulty. Upon successful completion of the eleventh Battlegate, you’ll Secret Report #11 as well as a Ying-Yang Cufflink. 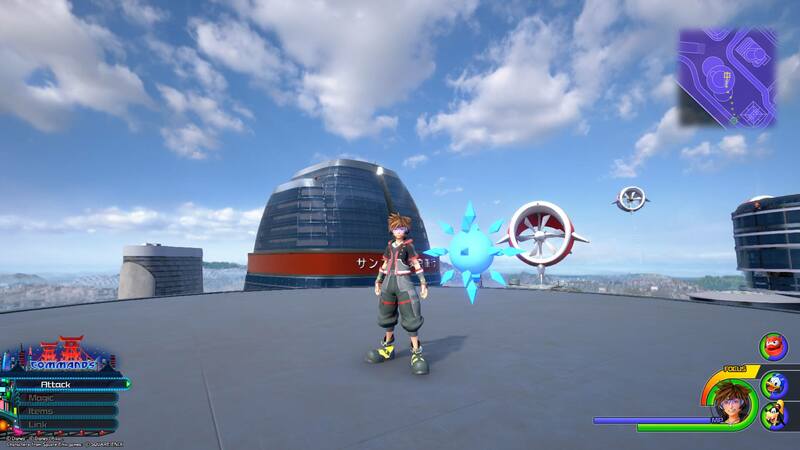 The twelfth Battlegate in Kingdom Hearts 3 can be found at the top of a large building in San Fransokyo. 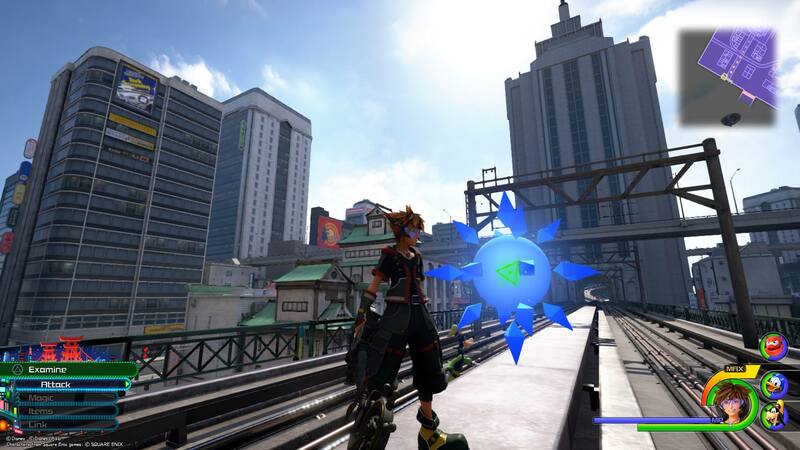 To find the twelfth Battlegate in Kingdom Hearts 3, you’ll need to return to the North District (Day) spawn, then scale up the building to the left of the save point with the three circular landings on top. At the very top landing, you’ll find the twelfth Battlegate. Interact with the twelfth Battlegate, then confirm to begin your next fight. This Battlegate is ranked at a 1-star difficulty. Upon successful completion of the twelfth Battlegate, you’ll earn a Blizzard Cufflink along with Secret Report #12. The thirteenth Battlegate can be found in the Badlands area of the Keyblade Graveyard. To find the thirteenth Battlegate in Kingdom Hearts 3, you’ll need to spawn into the Keyblade Graveyard world at the Badlands save point. From there, turn around and head out into the large, open area. In the center of this area, you’ll spot the thirteenth Battlegate. Interact with the thirteenth Battlegate, then confirm to begin your next fight. This Battlegate is ranked at a 2-star difficulty. Upon successful completion of the twelfth Battlegate, you’ll earn Secret Report #13 along with a Celestriad. The fourteenth Battlegate is the hardest to complete, and features the new Dark Inferno boss. The fourteenth and final Battlegate can be found in the same area as the thirteenth Battlegate, the Badlands area of the Keyblade Graveyard. To reach it, head back towards the save point, then go past it and out into the next large, open area. There, you’ll spot the fourteenth Battlegate. Interact with the fourteenth Battlegate, then confirm to begin your last fight. This Battlegate is ranked at a 3-star difficulty, and will be the hardest one to complete. Because of this, you’ll want to come prepared, especially seeing as how Donald and Goofy aren’t able to help you in this fight. When we took on this Battlegate challenge, we were level 65. This should be sufficient if you’re playing on Standard or Proud Mode, though being a higher level never hurts. We also made sure to equip our best keyblades and equipment before entering the fight. Items you’ll want to focus on include ones that boost Strength and Defense stats, especially Defense as the new Dark Inferno boss is extremely hard to dodge and deals an insane amount of damage. It may take you a few tries, but once you complete the fourteenth Battlegate, you’ll unlock the “Know Thine Enemy” achievement as well as a new selfie pose and the Crystal Regalia item. 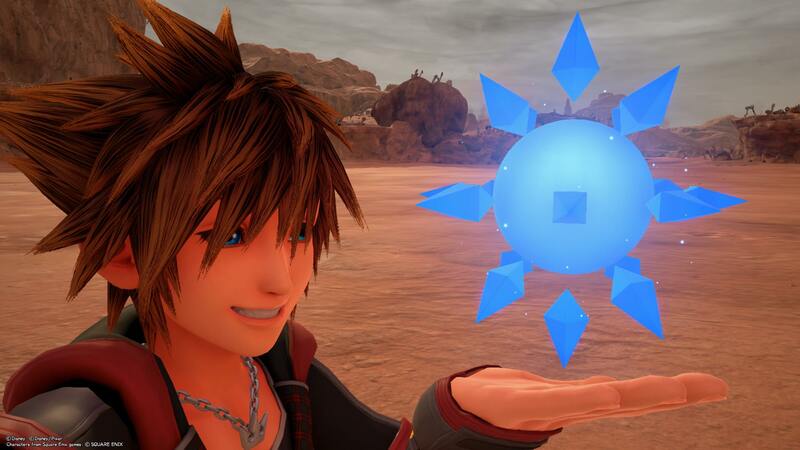 By finding and completing all fourteen Battlegates, you'll unlock Story Reports, as well as special items and selfie poses for Sora. 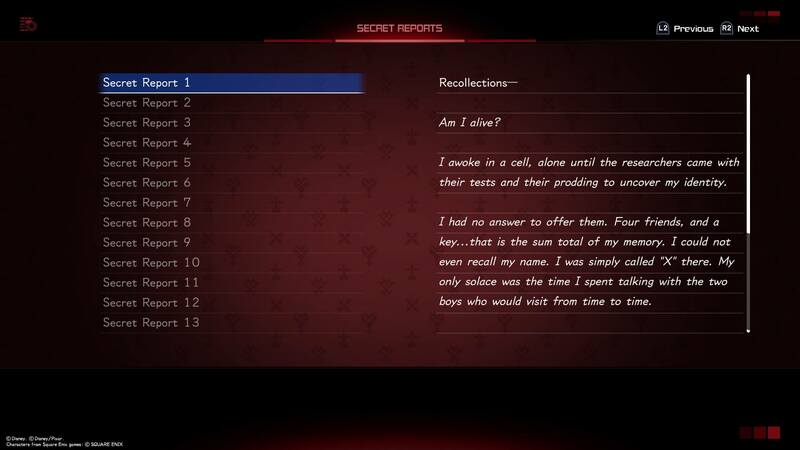 The inclusion of Battlegates is a fun way to expand the story of Kingdom Hearts 3 through Secret Reports, while offering solid endgame content for completionists. After finding and tackling all of the Battlegates in Kingdom Hearts 3, which one was your favorite and why? Let us know down in the comments below! For more on Kingdom Hearts 3, be sure to check out some of our previous guides including all Flantastic Seven locations in Kingdom Hearts 3, where to find all Lucky Emblems in Kingdom Hearts 3, and how to get the Ultima Weapon in Kingdom Hearts 3.